THE BLOOD CHOIR launch into 2019 with news of an unusual EP release, and a clutch of UK live shows. The Anglo-Danish post-rock pair comprising Robin Maddicott and Joe Mountain will reconvene this year for a special ‘PRE-P’ issue of their ‘Dartmoor’ recordings, which will be released officially for the first time on 1st March 2019 via their independent imprint Village Recordings. Once an object of pure fable among Blood Choir fans, the four tracks that comprise the long-rumoured collection known as the ‘Dartmoor’ EP were initially recorded between 2007-2009, dating back long-before the band’s acclaimed 2012 debut album ‘No Windows to the Old World’. Unearthed by Mountain and Maddicott in 2019, these time-capsule recordings have been remixed and revitalized in the studio with the assistance of Jon Walker, with further mastering by Matt Colton at Alchemy Mastering. Initially only passed to close friends by the band themselves, over a decade after their conception the tracks will become universally available as something of a record out-of-time, wittily dubbed a ‘PRE-P’, this March 2019. The collection opens with the title-track “Dartmoor”, a break-up song written by a bruised Maddicott upon returning to his parents’ house following a bitter split. While the track may not hold particularly warm memories at its heart, it marked the end of a lengthy period of writer’s block for the songwriter and the unfurling of The Blood Choir’s initial creative spell. With its delicate guitar and vocals recorded live in Mountain’s front room, the track recalls the wistful, fairy-tale folk of Led Zeppelin at their most stripped-back and vulnerable; or perhaps Nick Drake, whom incidentally the duo cover later on in the release with a hypnotic, reverb-drenched rendition of Drake’s classic: “Black Eyed Dog”. Elsewhere, the spacious “Script Girl” sits as the first song to ever be stamped with the Maddicott/Mountain co-writing credit. Painstakingly perfected after five sleepless nights in a tiny cottage near Dartmoor, the track effectively marks the very beginning of the band. 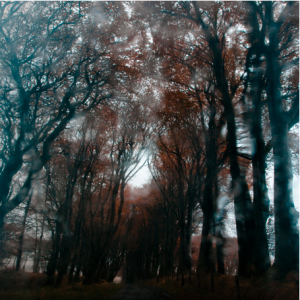 The ‘Dartmoor’ EP spools out into the ether with closing track “Lay with Me Awhile”. Performed on a battered “piece of sh*t” acoustic guitar, with a missing string, in a cryptic ‘in-between’ tuning and in one take, it is perhaps credit to the natural aptitude of The Blood Choir that such an achingly tender and haunting murder ballad should emerge from the technical debris. “I’m not even sure I could replicate it now. It was a one take thing” muses Maddicott. In anticipation of the new release, The Blood Choir are also pleased to announce a run of UK tour dates taking place throughout February and March, with confirmed appearances in Sheffield, Nottingham, Winchester, Warminster and Bath – full dates and details below. Available on 1st March 2019 via The Blood Choir’s own label Village Recordings. The EP will be available for digital download and streaming on Spotify, iTunes, Apple Music and all official streaming services. 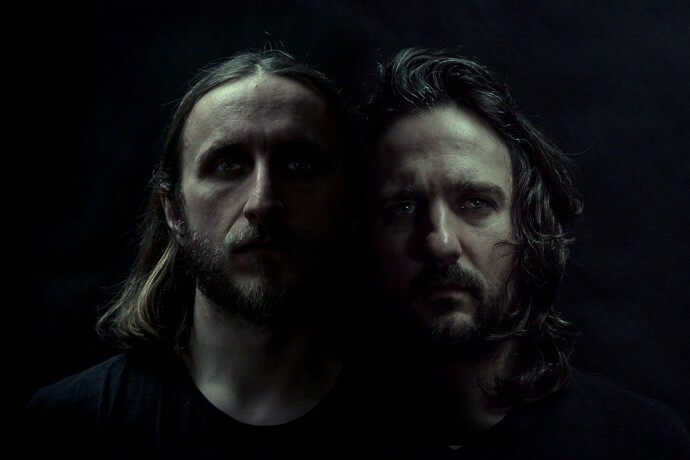 The Blood Choir are comprised of founding members Robin Maddicott and Joe Mountain. Formed in Bristol in 2009, they began recording material for what would become the unreleased and much-coveted ‘Dartmoor’ EP. Signing with IRL (Independent Records Ltd) in 2012, the duo released their first official album ‘No Windows to the Old World’,a record co-produced with Tim Oliver (New Order, Robert Plant), who simultaneously released the record through his own label Top Cat Music. With the likes of Guitarist Magazine praising the record’s “soundscapes, reverb and blizzards of overdrive” (4*), The Blood Choir fleshed out their ranks to develop an expanded set up to do the album and it’s multitudinous depths justice in the live setting. The band toured extensively with Arbouretum, plus accepted invites to perform with John Parish, The Handsome Family, The Magic Band, Steve Gullick’s Tenebrous Liar, Dark Dark Dark and Silver Apples among others. Still centered around the nucleus of Maddicott and Mountain, though currently operating between Denmark and the UK, The Blood Choir returned in 2018 with their first full length studio album for six years: ‘Houses of the Sun’. The ‘Dartmoor’ EP will be released officially for the first time in March 2019.